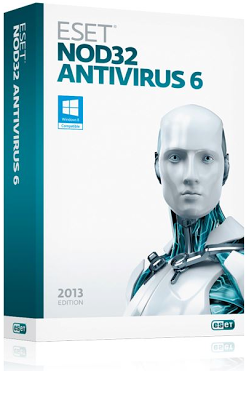 ESET NOD32 Antivirus 6 (2013) Stronger and faster than ever. ESET NOD32 Antivirus 6 prevents fake websites from stealing your personal information and your credit card information. Threats can penetrate your computer from the portable media such as USB Disk-on-key, etc. ESET NOD32 Antivirus 6 run a scan when you plug the device into your computer, also user can adjust the level of scan on removable media.